Donald Trump and his South Korean counterpart have agreed to revise the joint treaty that limits the range of Seoul’s ballistic missiles. South Korea also said its consulting with Washington about other possible “military options” against the North. “The two leaders agreed to the principle of revising the missile guideline to a level desired by South Korea, sharing the view that it was necessary to strengthen South Korea's defence capabilities in response to North Korea's provocations and threats,” South Korea's presidential Blue House said. Under the 1972 agreement with Washington, Korea received US missile technology but agreed to “voluntarily” limit the maximum range of its missiles to180 kilometers. Citing the growing threat from Pyongyang over the years, it has been revised several times up to the current range of 800 kilometers with a maximum payload of 500 kilograms. The White House said Trump "provided his conceptual approval of planned purchases by South Korea of billions of dollars in American military equipment," but made no mention of the missile treaty. Earlier on Thursday, chief of the US Pacific Command, Admiral Harry Harris, met South Korea’s Minister of National Defense Song Young-moo in Hawaii to discuss North Korea’s latest missile tests. The meeting was part of the five-day trip by the Korean official to the US which started Tuesday. During the meeting in Camp Smith in Halawa, Harris promised to further consider possible military options against Pyongyang, should the US and South Korea decide to retaliate against any further provocations from the North. “The US commander reaffirmed Washington’s ironclad commitment to defending South Korea in the face of North Korea's threats,” South Korea’s Ministry of National Defense said, according to Yonhap. The military options discussed were not released. Some reports indicate that during Song’s meeting with US Secretary of Defense James Mattis Wednesday, discussions centered around the potential redeployment of American tactical nuclear weapons to S. Korea. Those reports though, have not been confirmed. In addition, on Wednesday, the US Missile Defense Agency successfully shot down a ballistic missile in an exercise drill held in Pacific Missile Range Facility, Kauai, Hawaii. 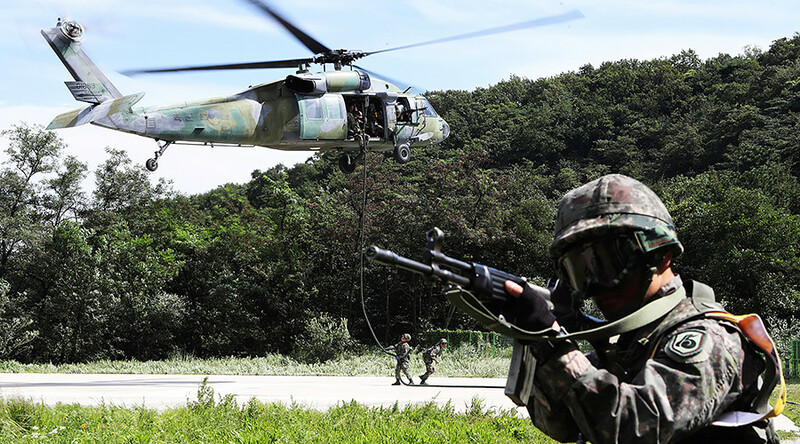 Tensions on the Korean peninsula are escalating rapidly after North Korea conducted its 14th missile test this year on August 29th, amid the joint US-South Korea Ulchi Freedom Guardian drills which concluded this week. Pyongyang’s intermediate range ballistic missile which flew over Northern Japan sparked worldwide condemnation. Just three days before, North Korea test-fired three short-range missiles into the Sea of Japan, one of which exploded on launch. 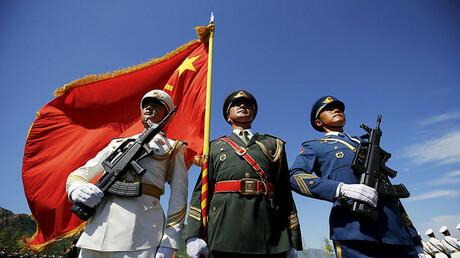 Amid the warmongering rhetoric, both Russia and China continue to insist that a military solution to the conflict is not an option. On Friday, Russian President Vladimir Putin warned that further escalations could lead to an armed regional conflict. “The situation on the Korean Peninsula, where tensions have grown recently, is balancing on the brink of a large-scale conflict. Russia believes that the policy of putting pressure on Pyongyang to stop its nuclear missile program is misguided and futile,” Putin said Friday. On Thursday, Chinese defense ministry spokesman Ren Guoqiang told reporters that China will not allow war or chaos on the Korean Peninsula. As an alternative to armed conflict, Beijing and Moscow are advocating the resumption of diplomatic talks on Korean denuclearization, through the implementation of the “double freeze” initiative, endorsed by Chinese Premier Xi Jiping and Vladimir Putin, but rejected by Washington. The roadmap envisions a suspension of all nuclear and missile tests from North Korea in exchange for a freeze of US-South Korea drills in the region. The latest launch of North Korea’s medium-range missile was unanimously condemned by the UN Security Council (UNSC). The UN called on Pyongyang to halt their activities, which are “not just a threat to the region, but to all UN member states.” Prior to that, in early August, the UNSC unanimously agreed to impose more restrictive measures on Pyongyang, banning exports of coal, iron, lead, and seafood.